MJ Acoustics founded by John Jefferis was created to pursue an ideal, namely the reproduction of the most natural sounding, true to life bass possible with current technology, but at a price that favours both the wealthy and not-so-wealthy enthusiast. Each subwoofer unit is seriously over-engineered with generous headroom in all important areas. Components are hand picked and specifically designed into each system. MJ Acoustics unique combination of state-of-the-art electronis and tuned hand built cabinets, afford the user the ultimate in sub-bass control. Deep and powerful enough for the most demanding movie sound track, yet subtle, agile, fast, and accurate for the highest fidelity in music listening. Its just like beeing there! All of this produces a subwoofer to engender pride for MJ Acoustics as a British Manufacturer, and for you the Customer. Best of all its a 100% British product made by a 100% British company in Britain! Enhance your Audio for the finest sound stage. Every Master-Class Active Subass System is hand-crafted, with our technicians individually responsible for the building and testing of each Kensington. From the dedicated circuit boards that make up the crossovers and main processing units to the individual power amps that power each of the perfectly matched opposing drivers. The build quality alone is unsurpassed, with each cabinet being meticulously constructed, damped and finished in real wood veneer. When the Pro 50Mk3 was released there was only one observation from the design team when putting the final touches to this landmark model in the history of MJ. “will a larger version be even better?” Well, the answer is a resounding YES!! proportionally its the same diminutive size given the increase from 10″ to 12″ cone. So with the required tweaks in filter design to accommodate the natural roll off characteristic changes in the cone from the slightly increased mass together with larger internal cabinet volume, we established a magnetic structure and Gauss setting for the motor assembly that extracted the very most from this Bass Engine without the need to increase power by more than a few watts. The efficiency of the motor assembly was honed to perfection and the legendary Twin Crossovers installed to complete the design. Once again we set the standard for the most sound for pound you can achieve in a small cabinet. As the smallest cabinet size available within the Reference Series, the bass output from this miniature power-house belies its size. 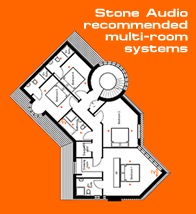 Visually able to co-habit in the smallest of rooms it provides an audiophile option for underpinning the most acclaimed speakers of any size. REF100Mk4-SR enjoys the benefits of DAMP 3rd Generation along with matched component specification and meticulous build quality. The significance of DAMP 3rd generation cannot be stressed enough. Serious levels of computing and calculations are going on in the circuits of all Reference Series subwoofers. Monitoring circuits and control circuits all have to be managed and handled by the onboard processor. DAMP 3rd Generation relates to the faster processor and extended memory capabilities of the latest microprocessor that all Reference Series has installed. With the addition of Smart Remote for iOS and Android providing real-time communication between the user and multiple MJ subwoofers, the processor power and speed has been increased significantly over previous versions. IMPACT just about sums this subwoofer up. In a Home theatre system it provides sheer IMPACT to all bass lines in the movie and makes the movie experience just jaw-dropping. With the muscle and flexibility to suit the largest of AV systems and larger rooms, it is proving to be quite a talking point amongst our dealers and distributors. IMPACT sports twin special tuned ports and this latest model guarantees new heights in bass performance. The real-estate required is quite small providing a welcomed aesthetic improvement for installing a pair either side of a large screen with lifestyle integration. Every Master-Class Active Subass System is hand-crafted, with our technicians individually responsible for the building and testing of each Windsor. From the dedicated circuit boards that make up the crossovers and main processing units to the individual power amps that power each of the perfectly matched opposing drivers. The build quality alone is unsurpassed, with each cabinet being meticulously constructed, damped and finished in real wood veneer. 15 years ago the original Pro 100 was released with a resounding thumbs up from some of the most respected magazines in the industry. It was even used in the HiFi World Reference system to demonstrate Valve amplifiers.